As we announced back in July, the final, long-awaited episode of The IT Crowd will air during a special The IT Crowd Night, on Friday 27th September at 9pm, on Channel 4. 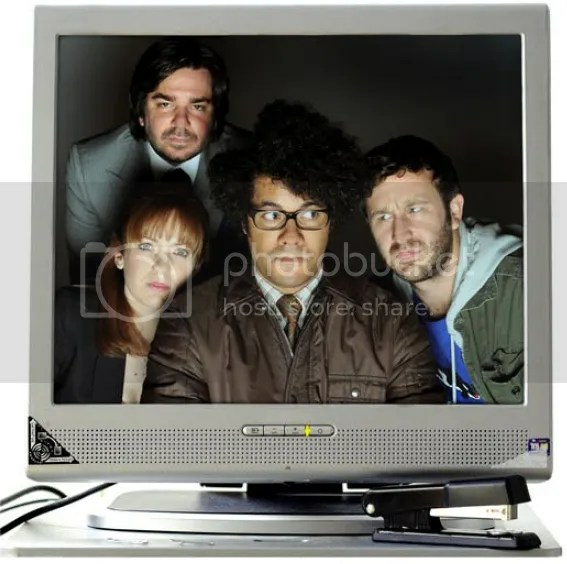 The hour-long episode re-unites Richard Ayoade as Moss, Katherine Parkinson as Jen, Chris O’Dowd as Roy and Matt Berry as Douglas, as well as writer and director Graham Linehan. There will also be an appearance by Noel Fielding as everyone’s favourite Goth, Richmond. Despite rumours to the contrary, the title of the episode is ‘The Internet Is Coming’; we’ll let you know more details on the episode and the supporting shows as soon as we can. So clear your schedule and get ready to ‘turn it off and on again’ one last time!